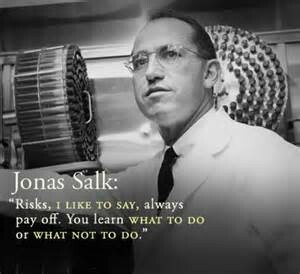 Jonas Edward Salk (October 28, 1914 – June 23, 1995) was an American medical researcher and virologist. 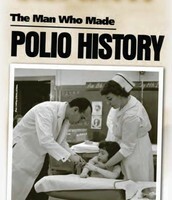 He discovered and developed the first successful inactivated polio vaccine. He attended New York University School of Medicine, later choosing to do medical research instead of becoming a practicing physician. Until 1957, when the Salk vaccine was introduced, polio was considered one of the most frightening public health problems in the world. In the postwar United States, annual epidemics were increasingly devastating. The 1952 U.S. epidemic was the worst outbreak in the nation's history. Of nearly 58,000 cases reported that year, 3,145 people died and 21,269 were left with mild to disabling paralysis, with most being children. Scientists were in a frantic race to find a way to prevent or cure the disease. U.S. President Franklin D. Roosevelt (32nd President) was the world's most recognized victim of the disease and founded the organization, the March of Dimes Foundation, that would fund the development of a vaccine. In 1947, Salk accepted an appointment to the University of Pittsburgh School of Medicine. 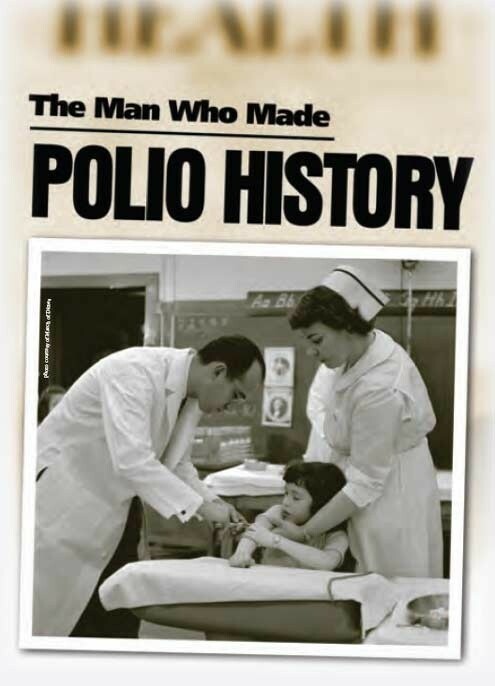 In 1948, he undertook a project funded by the National Foundation for Infantile Paralysis to determine the number of different types of polio virus. 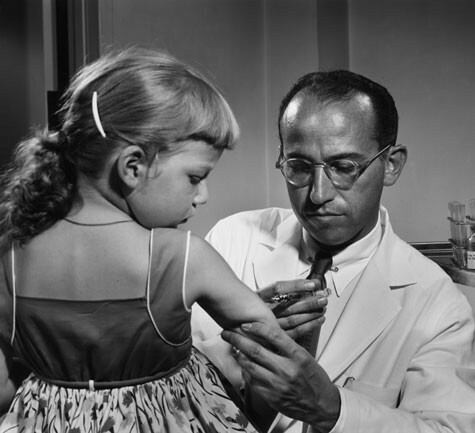 Salk saw an opportunity to extend this project towards developing a vaccine against polio, and, together with the skilled research team he assembled, devoted himself to this work for the next seven years. The field trial set up to test the Salk vaccine was, according to O'Neill, "the most elaborate program of its kind in history, involving 20,000 physicians and public health officers, 64,000 school personnel, and 220,000 volunteers." Over 1,800,000 school children took part in the trial. When news of the vaccine's success was made public on April 12, 1955, Salk was hailed as a "miracle worker" and the day almost became a national holiday. Around the world, an immediate rush to vaccinate began, with countries including Canada, Sweden, Denmark, Norway, West Germany, the Netherlands, Switzerland, and Belgium planning to begin polio immunization campaigns using Salk's vaccine. Medical Researcher - A person who conducts experimental research. It is the basic research in the development of knowledge in medicine. Virologist - Study of viruses. Inactivated Polio Vaccine - Contains no live poliovirus. Postwar United States - Time following the end of a war. Epidemic - The rapid spread of infectious disease to a large number of people within a short period of time. Infantile Paralysis - Often called polio. Is an infectious disease caused by the poliovirus. Zamula E (1991). "A New Challenge for Former Polio Patients." FDA Consumer 25 (5): 21–5. FDA.gov, Cited in Poliomyelitis [Retrieved November 14, 2009]. O'Neill, William L. (1989). American High: The Years of Confidence, 1945–1960. New York: Simon and Schuster. ISBN 0-02-923679-7. Rose DR (2004). "Fact Sheet—Polio Vaccine Field Trial of 1954." March of Dimes Archives. 2004 02 11.